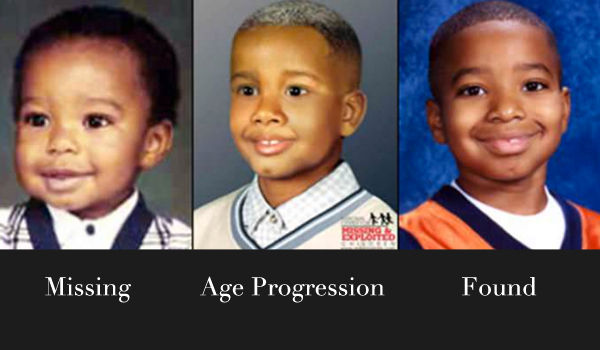 How Accurate Are Age Progression Photos? 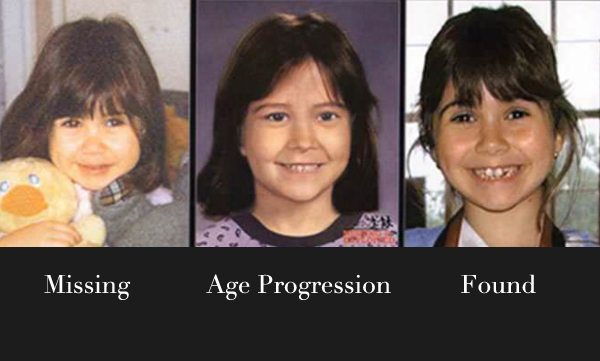 When a child is kidnapped or goes missing for a long period of time, investigators often use age progression photos to give the public an idea of what the child might look like today. Investigators typically use photoshop or other image software to create what they believe the child looks like today. Often times these photos don’t resemble the victim once they are found, but there have been several instances that the photos have led to a rescue. 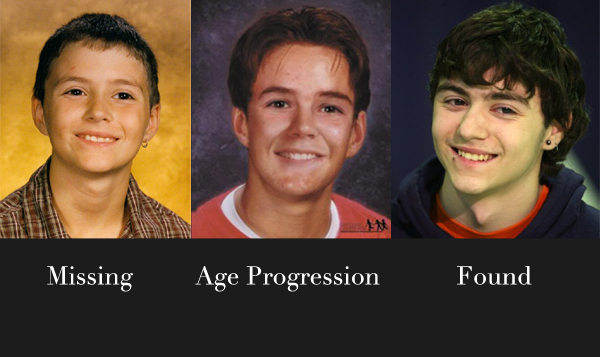 Here are the age progression photos of missing children alongside their photos when they were eventually found. Let us know what you think. 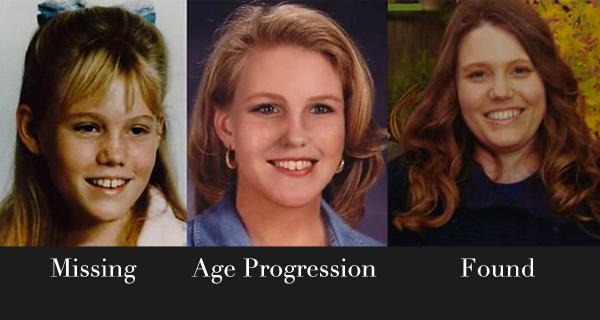 Jaycee Dugard was 11 years old when she was kidnapped and held captive for nearly 18 years. Although there are some similarities between Dugard and her age progression photo, the photo didn’t lead to her rescue. Jaycee Dugard was finally rescued when her captor’s parole officer became suspicious of the two young women he spotted with. His real name was Marx Panama Barnes when he was kidnapped by his mother at age 6 months. She eventually abandoned him and he was adopted by the Carter family. Steve was suspicious about his adoption and so he began searching online. It was when he came across a missing persons website and saw his age progression photo that he realized that Marx Panama Barnes was really him. The similarities are incredibly accurate especially when you consider a photo of an infant was used. In 1981, Aric Austin was abducted by his father when he was just shy of 2 months old. An age progression photo actually led to him being found 22 years later. It was when a U.S. Department of Education investigator working on a case involving fraudulent birth certificates recognized Austin’s driver’s license photo from an age-progression image. 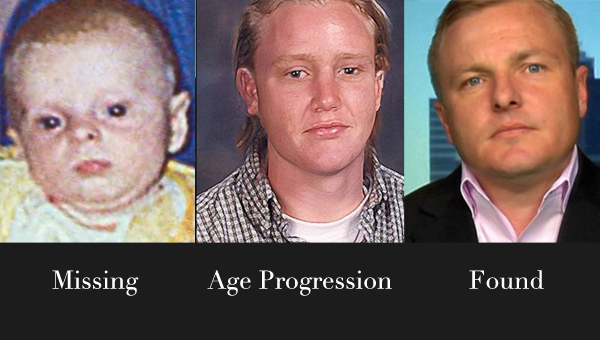 Another great example of an accurate age progression photo being generated from a baby picture. When she was 16, Connie McCallister was allegedly drugged by her 22 year old boyfriend and taken to Mexico. She spent the next nine years trapped in Mexico, abused by her boyfriend. She eventually married another man and had three daughters with him. It was a meeting with an American missionary that led to Connie making her way back home. 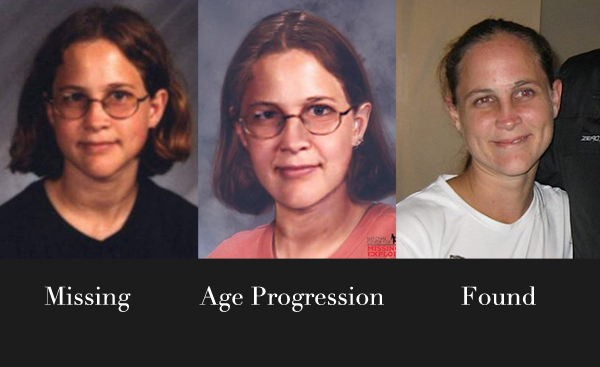 Her age progression photo has many similarities to her found photo, minus the glasses and change in hair. Joseph Carson was abducted by his father as a toddler in 2001. He was missing for about five years when a customer at an auto parts store saw that a PSA showing Joseph’s age progression image was strikingly similar to a kid who just happened to be in the store at that exact time. This was a moment when age progression photos work miracles. Shawn Hornbeck was eleven years old, when he was kidnapped in 2001. He was held for over four years by his kidnapper before being rescued on January 12, 2007. It was when his captor kidnapped another boy that police finally arrested him and found Shawn living in his apartment. 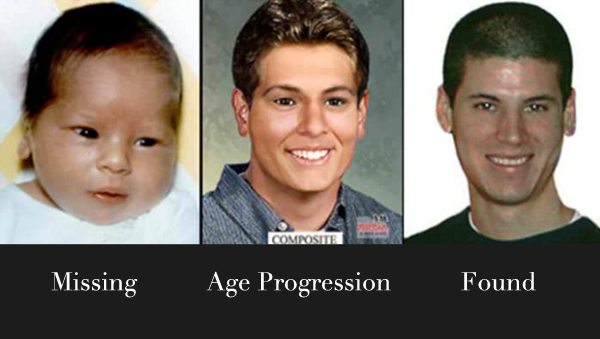 Unfortunately, the age progression photo in this case looks nothing like Shawn Hornbeck when he was found. Sara was taken from her mother at knife point at the age of three. Her father kidnapped her and left their native France for Canada, where Sara was rescued three years later. Her age progression photo helped play a role in her rescue when her father was pulled over by police when Sara was not wearing a seatbelt.